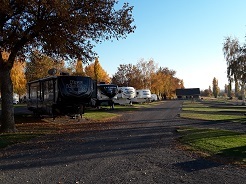 We strive to provide a wonderful experience for RV'ers, campers and golfers! 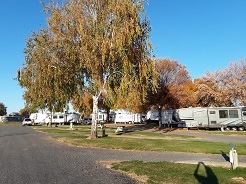 Sage Hills Golf & RV Resort is a full service resort. Special Golf & RV packages are available year round. Our Annual and Corporate Memberships offer great rates for frequent golfers. Our facility is available for special events, family reunions, weddings, company tournaments or fund raising events. We strive to provide a wonderful experience for RV’ers campers and golfers. Sage Hills is also a perfect “home base” for hunters, fishermen and those just wanting to explore the Columbia Basin. 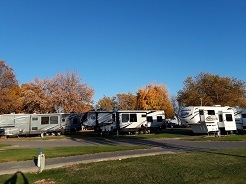 If you are looking for a fantastic golf & RV package, a beautifully maintained campground for a family get away in your RV or travel trailer, Sage Hills is a perfect destination. Sage Hills Golf & RV Resort has facilities to accommodate family reunions, travel club get together’s, and company outings or retreats. A recreation building and picnic area is available for the use of registered guests. A habitat for numerous wetland dependent wildlife species. One of America’s premier outdoor concert venues. The town has a long history as a healing community. You will always find a great time in the Quincy Valley. It's the lifestyle that attracts visitors to Moses Lake. Othello Rodeo Association is proud to present the Othello PRCA Rodeo. Annual return of nearly 35,000 sandhill cranes to Othello.